The core product is a complete solution for automated translation, consisting of language-checking software, a translation engine, and post-editing of the translated text. Through feedback to a translation memory, accuracy increases continuously as the system is used, resulting in high-quality translation. 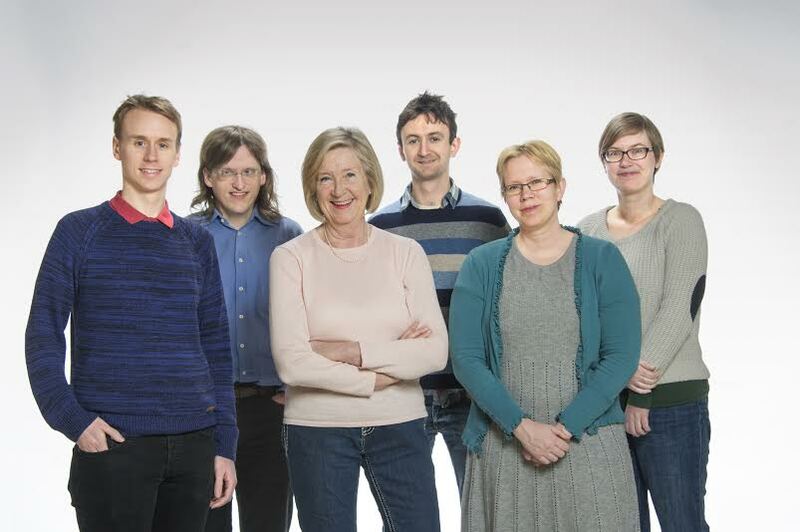 Behind the company is a research team from the Department of Linguistics and Philology at Uppsala University with many years of experience in language technology and machine translation. Our clients are companies, universities and government bodies who require high-quality translation with consistent terminology. They often want to integrate our systems into their own IT infrastructure. License agreements for our software are at the core of our business. In addition, we can provide separately different elements of the translation process, such as post-editing, or complete translation services, which are more and more in demand. The resulting translations are characterized not only by their quality but also by fast delivery and competitive prices. Convertus AB started in May 2006 as a spin-off from Uppsala University (read more about the background). Behind the company is a research team from the Department of Linguistics and Philology at Uppsala University with many years of experience in language technology and machine translation. A large portion of the technology is based on proprietary research. Current development work includes “gisting”, i.e. rapid translation in chat systems and other informal communication contexts. Bologna Translation Service, BTS, a web-based platform for machine translation, developed through an EU project of the same name. The platform can be linked to various machine translation engines and also includes translation memories and a user-friendly editing interface. BTS also has a range of administrator functions which keep track of the status of the different translation tasks and allow for final approval after review and editing. BTS can also be run without review and editing in order to produce gist translations. BTS accepts for translation web pages, plain text, and documents in the following formats: html, docx, xlsx, pptx and txt. The service is provided on a subscription basis. Swedish-English Syllabus Translator – a system for the translation of academic syllabuses from Swedish to English and from English to Swedish. The Syllabus Translator is used today by six Swedish universities, i.e. Uppsala University (UU), Karolinska Institutet (KI), Swedish University of Agricultural Sciences (SLU), Royal Institute of Technology (KTH), Lund University (LU), and Gothenburg University (GU). The universities subscribe to the service and run it integrated in their education databases. The system can also be run from BTS, i.e. independently from the education databases. Finnish-English Syllabus Translator – a system for the translation of academic syllabuses from Finnish to English. The system is run from BTS, and is currently installed at one Finnish university for testing. Technical Translator – a system for translating technical documents from Swedish to English and vice versa. The system is used by both industrial and service companies. Swedish-English Gist-translator – a system for rapid raw translation between English and Swedish. The translator is suited to running on the customer’s intranet. Customer-initiated development of gist-translators between different language pairs. The translations are based on customer data. The latest addition is a gist-translator for translation between Spanish and English, in both directions.